We provide a variety of services for furnaces of many different brands in the Barrie area. 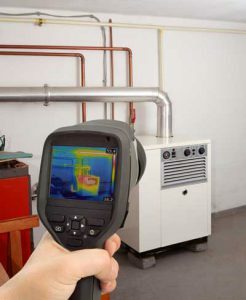 Furnaces in commercial buildings are different from those that provide heat to your home. Because a commercial structure is typically much larger than a residential one, the heating system contains larger components to keep up with the demands. Even a smaller commercial building probably has a more complex heating system than you’d expect. So when something isn’t working properly, it’s tough to know exactly which part is going out. But our team of HVAC technicians at L&B Mechanical has a lot of experience in diagnosing and repairing issues with commercial furnaces, so the best thing to do is to give us a call. We provide a variety of services for furnaces of many different brands in Barrie, Ontario. Because we specialize in commercial furnace service, we’re a trusted company among business owners throughout the Barrie area. We also focus on customer service, guaranteeing a positive experience with our company. Every one of our technicians also stands behind the work done at your commercial property. When we assess your furnace, we can also give you options for replacement if your unit is old or beyond repair. Most furnaces are designed to last for about 15-20 years at the most, so the time may come to upgrade to a newer furnace. This process does come with some benefits, such as improved efficiency that will decrease how much it costs to run. But when it comes to commercial furnaces and other components of heating and cooling systems, we’re the experts.